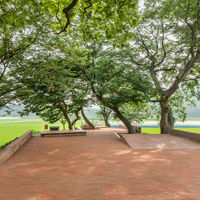 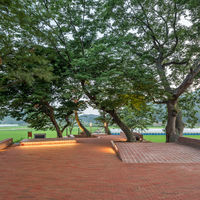 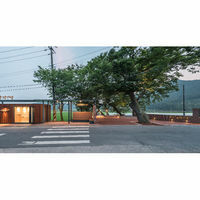 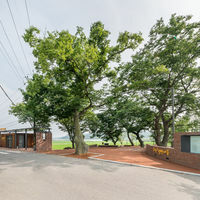 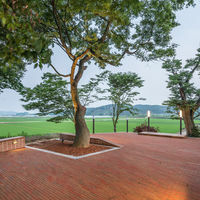 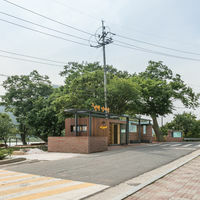 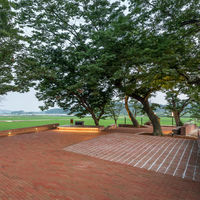 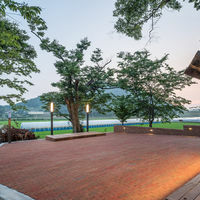 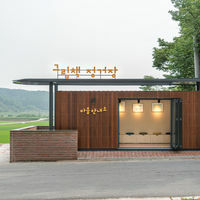 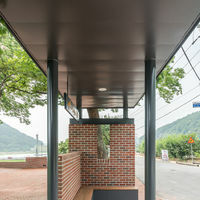 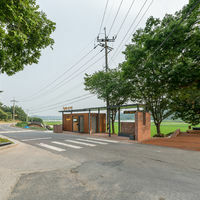 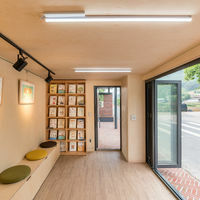 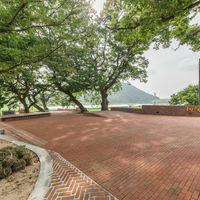 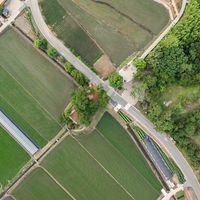 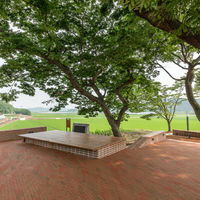 This is a Public project which rehabilitate the old plaza and build a new information center and bus platform of Songjeong Picture book village. 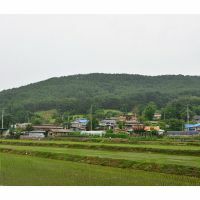 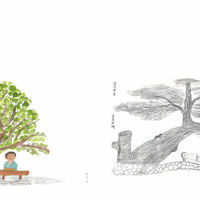 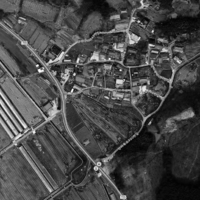 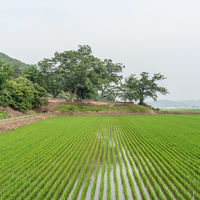 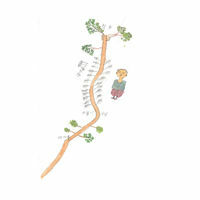 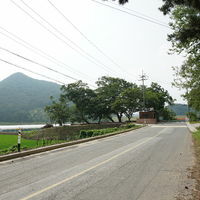 Songjeong village is a small town in Buyeo and there has been a social project which makes this unknown village in to a Picture book village. 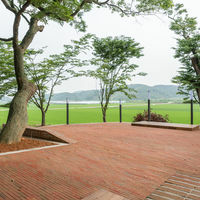 We try to reserve the beautiful scenery and make a place for the residents instead of building the overwhelming structure. 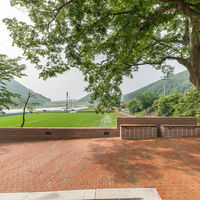 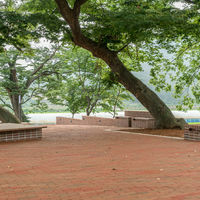 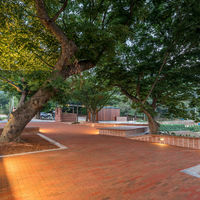 Parts of the land itself elevated and became the benches, tables, platforms, bulletin boards and these low walls defined the area of the plaza. 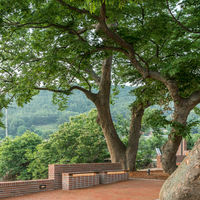 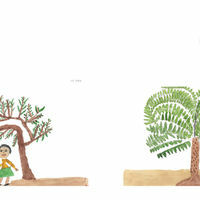 To obtain the wholeness, applied just one single kind of brick, but in a various way for the richness of the emotion. 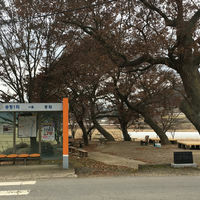 The information center is integrated with the bus platform, so there comes more possibilities to use the space. 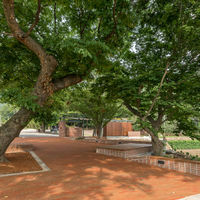 We try hard not to construct the architecture, but create the place.